New perforated back panels feature triple-layer EVA compound padding for good shock absorption. CE certified against the latest EN 1621-2:2014 Level 2. Shoulder and elbow PU foams new softer formulation and channeling design to get more flexibility. CE certified against the EN 1621-1:2012. Soft touch BNS puller for an easy and safe engagement of the BNS. 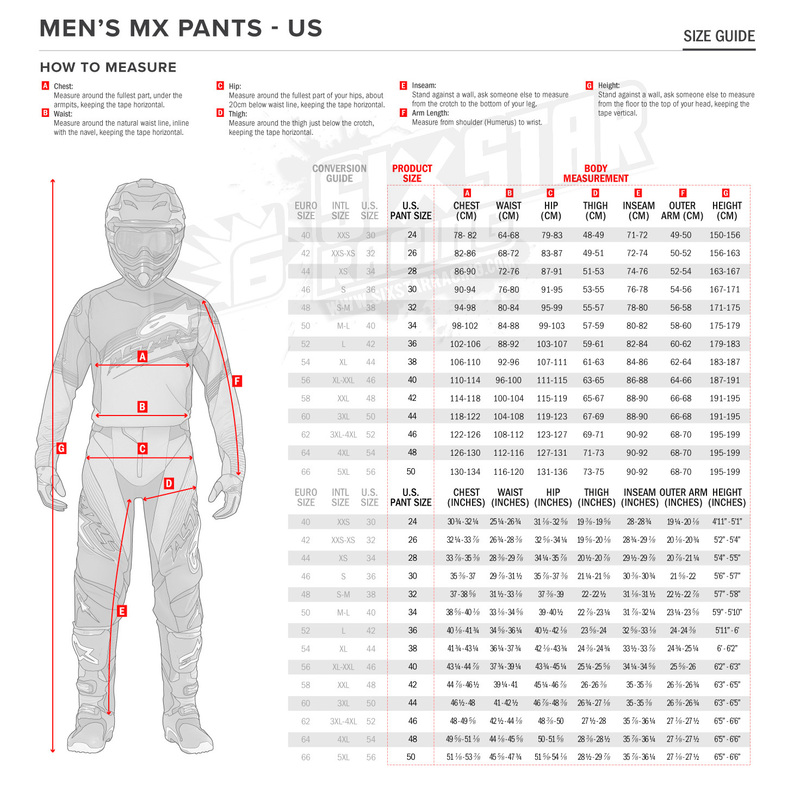 Reduced material construction on underarms and arms for ventilation and weight saving. Slim lined, CE-certified elbow/forearm protectors provide excellent impact protection and are asymmetric to offer optimized left/right fit. 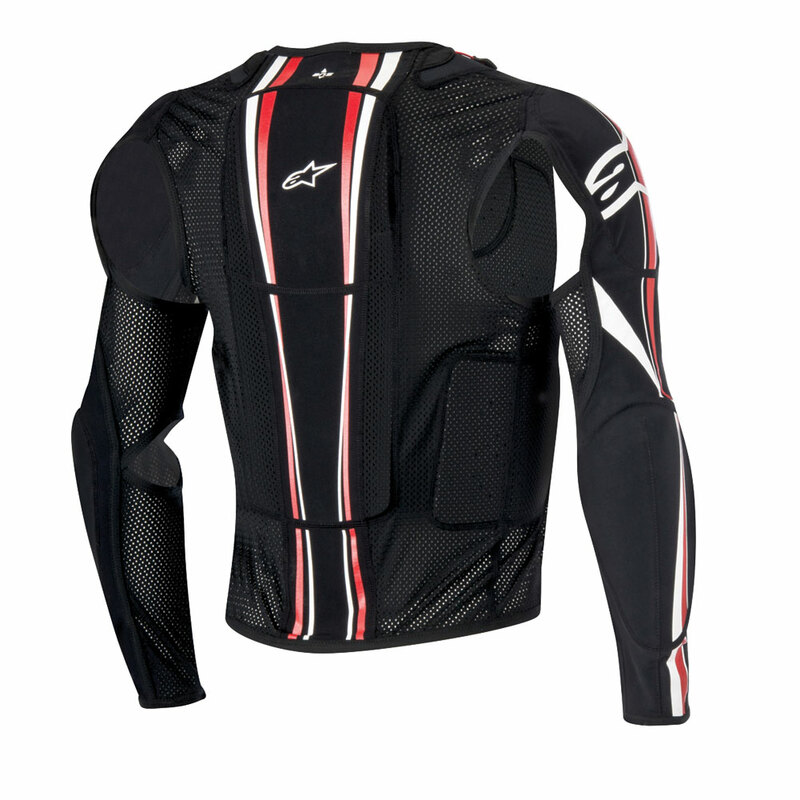 Back protector features triple layer EVA compound padding for good shock absorption and padding. 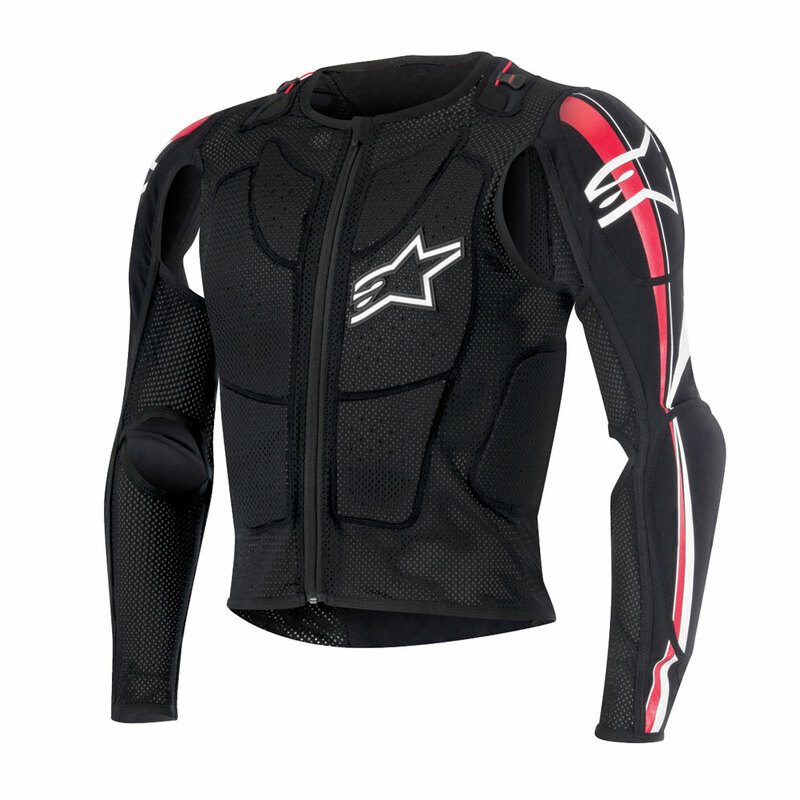 Removable upper chest and back padded panels accommodate fitment of Alpinestars BNS. Thermoformed chest and kidney protector padding. Premium, auto-locking YKK zips for main frontal closure and on detachable sleeves. EN 1621-1:2012 / Level 1. EN 1621-2:2014 / Level 2.